What is a Drywall Patch? A drywall installer applies a finish coating to a wall after patching it. A drywall patch may be used to repair small holes, scarring, or large holes in drywall panels. 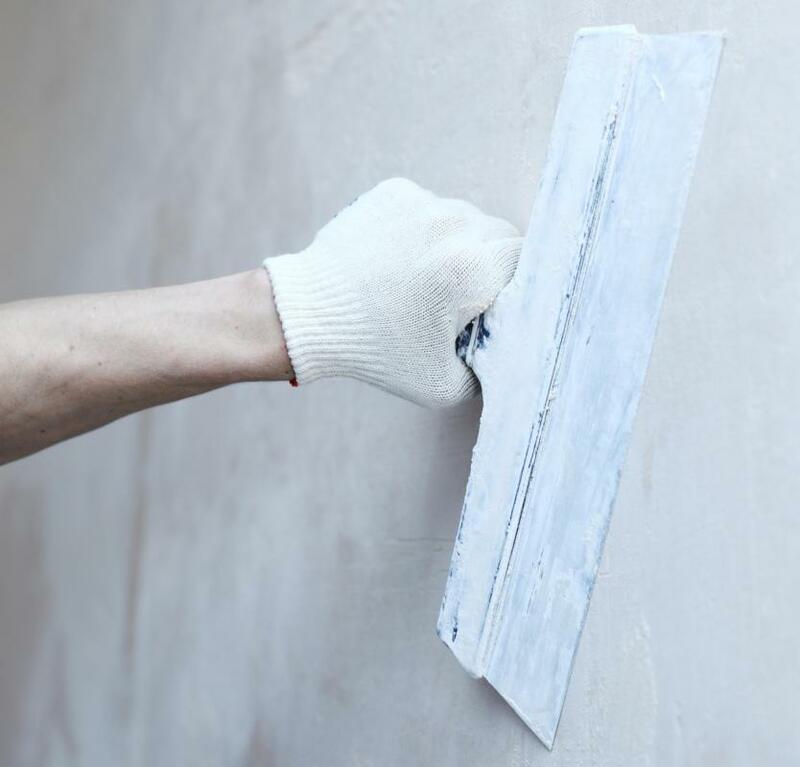 Spackling or joint compound is applied over the drywall patch to achieve a smooth finish. Drywall patches are repairs made to an existing drywall panel. The patches may be very small, correcting problems such as holes left after a picture hook is extracted from a wall. In other cases, the drywall patch is used to repair damage such as scarring or larger holes, making it possible to restore the look of the wall without actually installing a new panel. The process of successfully creating the patch is relatively simple, as long as the proper materials and tools are used. In order to manage a drywall repair of this type, the first step is to evaluate the scope of the damage. With small holes that have not significantly weakened the wall, it is usually possible to fill in the hole with drywall plaster, then smooth the patch using a trowel. Once the drywall patch dries, the area can be lightly sanded so the patch is flush with the surround surface of the wall. At this point, the wall can be repainted and the patch will become virtually invisible. More extensive damage may require the removal of an entire section of the drywall panel, and replacing the damaged section with a portion of a fresh panel. With this application, the new panel is cut to fit into the space, then secured using drywall plaster. Since panels tend to narrow around the edges, this leaves a small indentation that the plaster fills in. Drywall tape is set over the plaster, with any excess that bleeds from under the tape feathered out from the drywall patch to create a smoother texture. Once the patch is dry, light sanding will make sure the wall is perfectly smooth and ready for painting. In many ways, the installation of a drywall patch is not unlike the general process of drywall hanging. The same products are used in both tasks, and the installation of a patch is very much like the drywall installation of a single panel. Most of the tools used in creating any type of drywall construction will also come in handy when repairing damaged drywall. There are several advantages to the use of a drywall patch. Homeowners can save a significant amount of money when a patch will restore the appearance of a wall, versus having the entire wall redone with new panels. Because the process is a relatively simple one, the main expense will be the materials. Homeowners can normally manage to properly install a patch even if they are not particularly proficient with building materials. For novices, there are a number of how-to books that provide step by step instructions in how to install a drywall patch, as well as videos and other support resources found online. How Do I Choose the Best Drywall Manufacturers? What are the Best Tips for Patching Drywall? What are the Best Tips for Replacing Drywall? 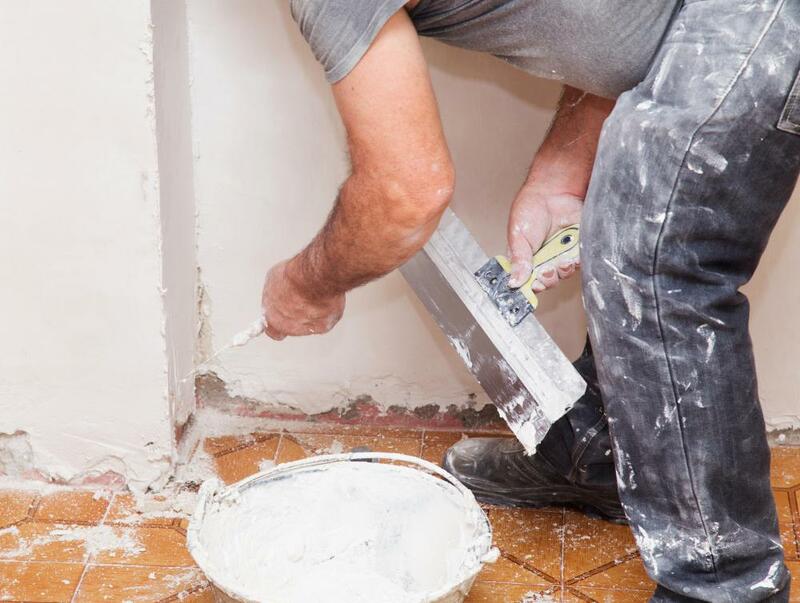 What are the Best Tips for Plaster Repair? What Are the Different Types of Wall Panel Systems?